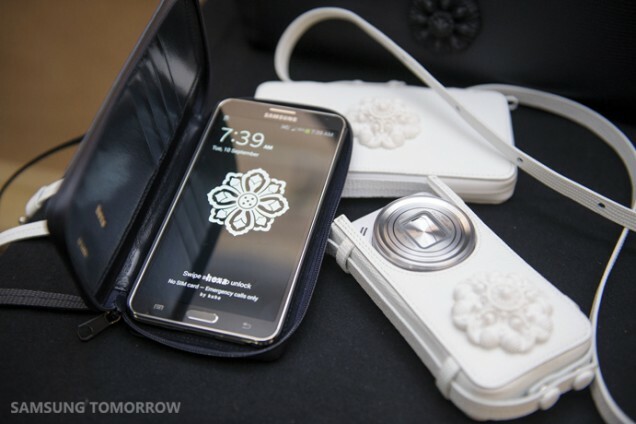 Samsung Electronics and celebrated avant-garde womenswear collection, hexa by kuho, revealed a stunning new set of accessories for the Samsung GALAXY Note 3 and GALAXY S4 zoom at Paris Fashion Week. Adorned with the traditional Housouge pattern – a Korean floral medallion used as a decorative feature – and made from a luxurious leather material, the fashionable accessories can be worn on the shoulder with a leather strap or used as a stylish but useful protective case. On the runway, hexa by kuho showcased white color accessory for GALAXY Note 3, and white and black color accessories for GALAXY S4 zoom, respectively. 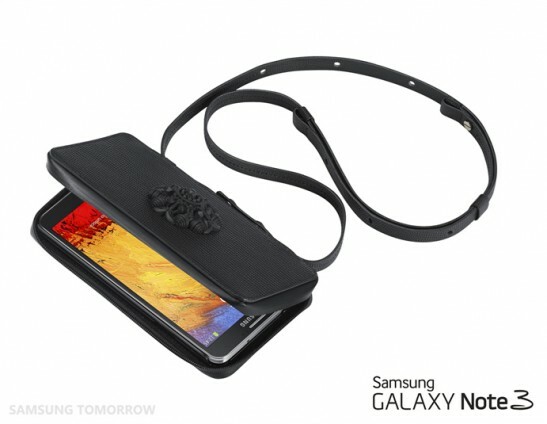 The GALAXY Note 3 clutch bag will appeal to those with a passion for sophistication. With a zipper, the clutch can be fully open without compromising practical functionality and style. 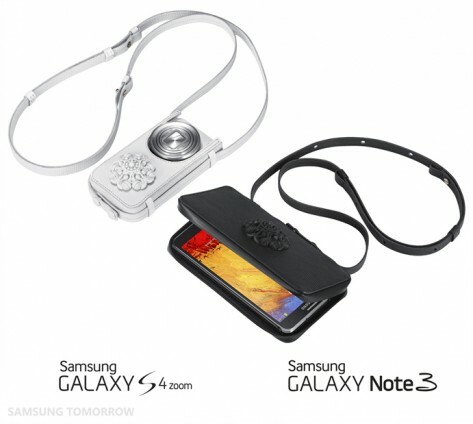 One side is designed to house the GALAXY Note 3’s large 5.7 inch screen and the other side holds up to 3 credit cards. 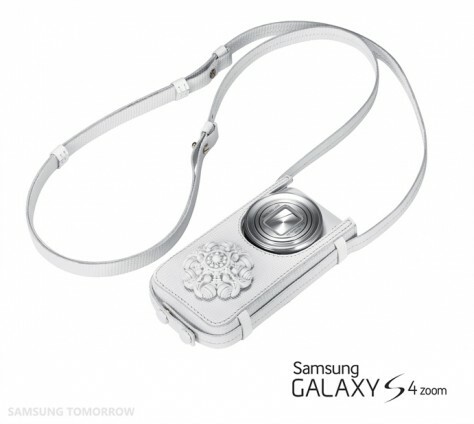 Tailored to perfectly fit the GALAXY S4 zoom, the case features a camera lens-shaped design for a streamlined appearance. 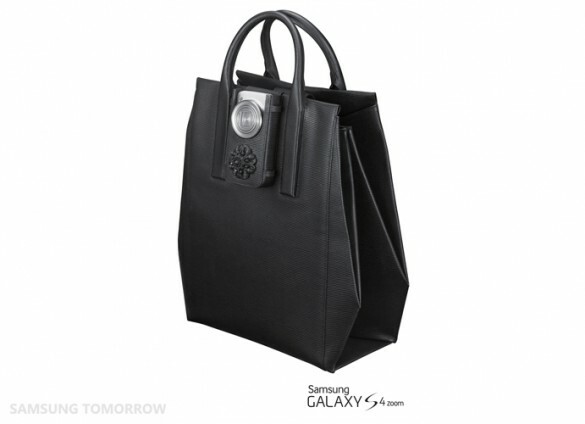 Reflecting the multifunctional capabilities of the GALAXY S4 zoom, it can be worn attached to hexa by kuho’s new leather handbag, providing an on- trend solution for carrying around the ultimate portable device while on the move. Alternatively, it can be detached and worn as a standalone item as a striking part of any look. “We wanted to ensure that our customers have the choice to complement their mobile devices. Thanks to this collaboration with ‘hexa by kuho,’ the GALAXY Note 3 and S4 zoom owners are allowed to express their sophisticated taste and design preference with high quality and premium accessories. ” said Younghee Lee, Executive Vice President of Global Marketing, IT & Mobile Division at Samsung Electronics. “I find inspiration from so many different sources, from fashion to film to art and this particular project attracted my attention as it offered a new medium to tackle” said Kuho Jung, Executive Creative Director, Cheil Industries, Inc. “Fashion and technology have so much in common in the way they both strive to push existing boundaries and so the opportunity to bring the two together is one which I have embraced”. The highly anticipated GALAXY Note 3 is the third generation of the GALAXY Note range. Artistic design is at its core and with a premium look and feel, the GALAXY Note 3 is the go to device for those looking to add delight to daily tasks and share their stories, easily and quickly. Featuring S Pen improvements, everyday tasks are accomplished even more simply than ever before. The GALAXY S4 zoom provides the perfect smartphone and photography experience in one device. This revolutionary new model is the first smartphone to provide a 10x optical zoom, offering outstanding photographic capabilities in addition to the full functionality of a high performance smartphone. With a sleek and stylish design users who demand high quality images from the device that’s always with them will find the image excellence of the GALAXY S4 zoom the ideal solution. hexa by kuho is a global collection line of Korean avant-garde womenswear designer Kuho Jung.